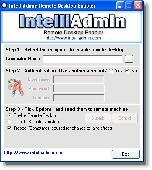 Windows 9x/nt/xp application for directory creation, file moving, file renaming and file attribute setting. RemoveIT Pro v4 - SE. Locates & Removes many new dangerous Spyware, Malware, Virus, Worms, Trojan's and Adware that other popular AV programs do not find. RemoveIT Pro. What's New? Version v4 - SE (21.5.2007) - Core engine updated. This program allows to enable the remote desktop feature of Windows XP/2000/2003 - Remotely. .
RegSnap is a tool that can help you analyze changes made to the Windows Registry. You can view, explore and compare saved registry snapshots and find which keys were modified, deleted, or added.